What do you get when a chic retail brand joins forces with a filmmaker and some fresh-faced models-of-the-moment? An exceptionally stylish fashion film! That’s exactly the case with ZAZAII‘s new holiday video – celebrating their Toronto store. The joyous clip will definitely get you in a fun mood – and crave some quality time with your girls at the same time. 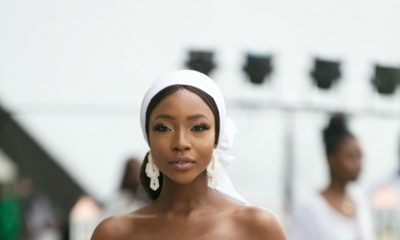 “I have always loved the holidays and the concept of friendship, sisterhood and a support system is something I’ve been mulling over all season,” Ogiemwonyi said in a press release. “The designer looks and the music (Squad by Idris King) inspired the concept for the video. Toronto is one of the most diverse cities in the world, and we wanted to showcase that—and it was so much fun to create.” The clip features ZAZAII Toronto’s best looks available in-store and online.